The alarm was set and we were straight up to have breakfast, no languishing in bed with a cuppa today. Just before 8am we were outside rolling up the covers and dropping the pram hood. Rob and Sue on NB Cuba were about with mugs in hand, all ready for the off. 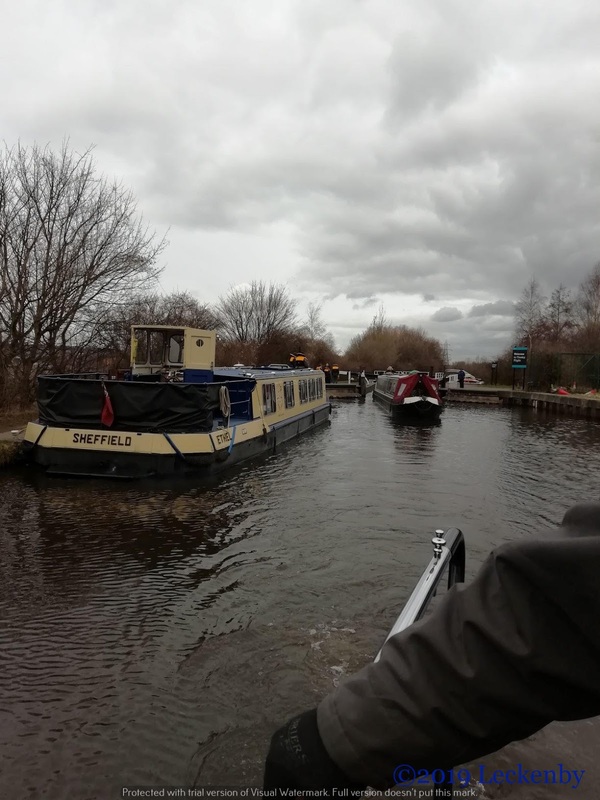 We followed Cuba towards Rotherham, passing the huge winding hole that Exol Pride uses and where swans hang out waiting to fill up on white sliced. 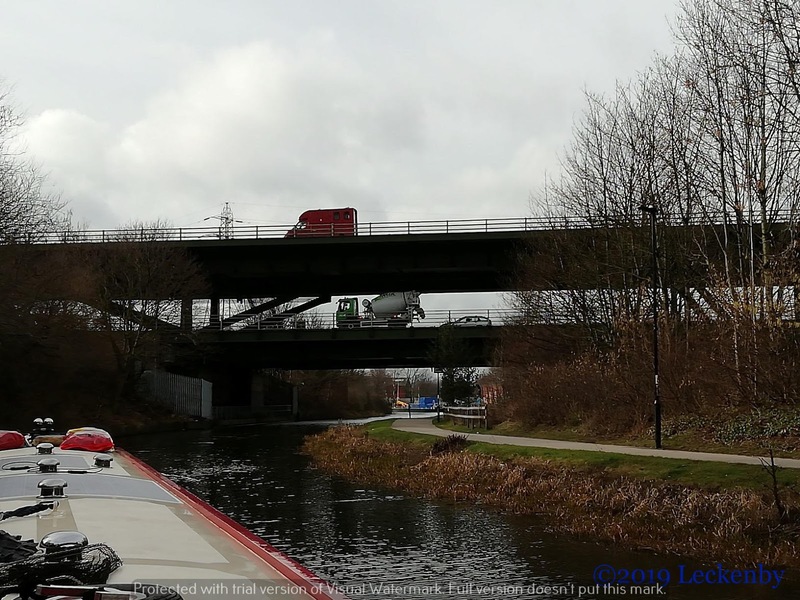 The lock landings on this stretch are only really made for one boat and some of them are a little distance away from the lock. 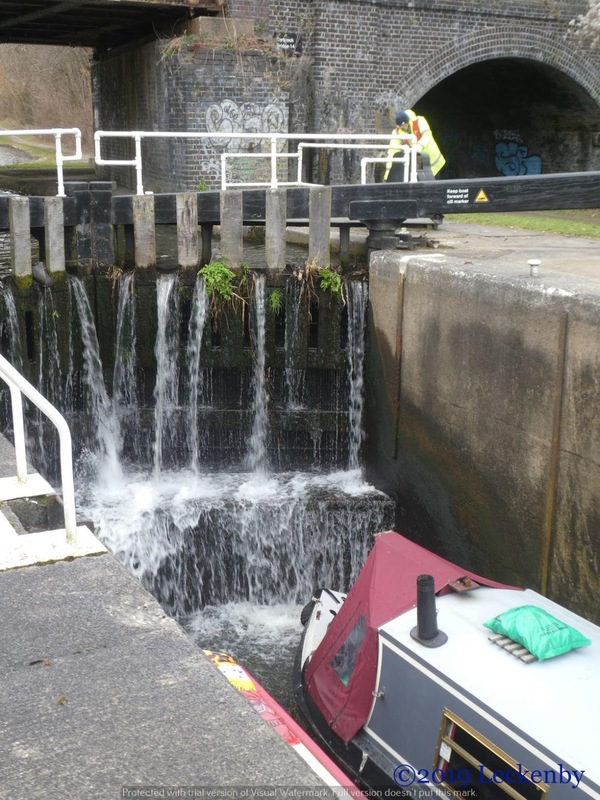 It is Rob and Sue’s first trip up to Sheffield and every canal has its own flavour of lock mechanisms. 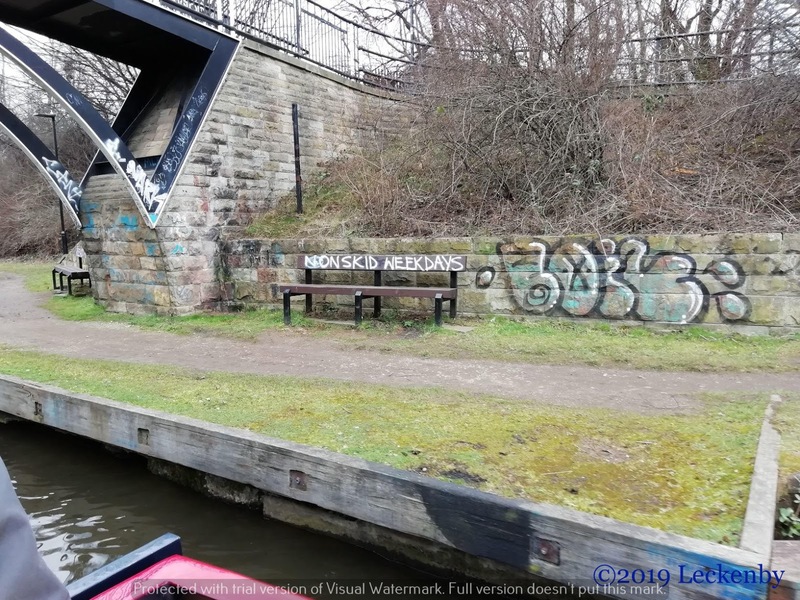 They went to set Rotherham Flood Lock. 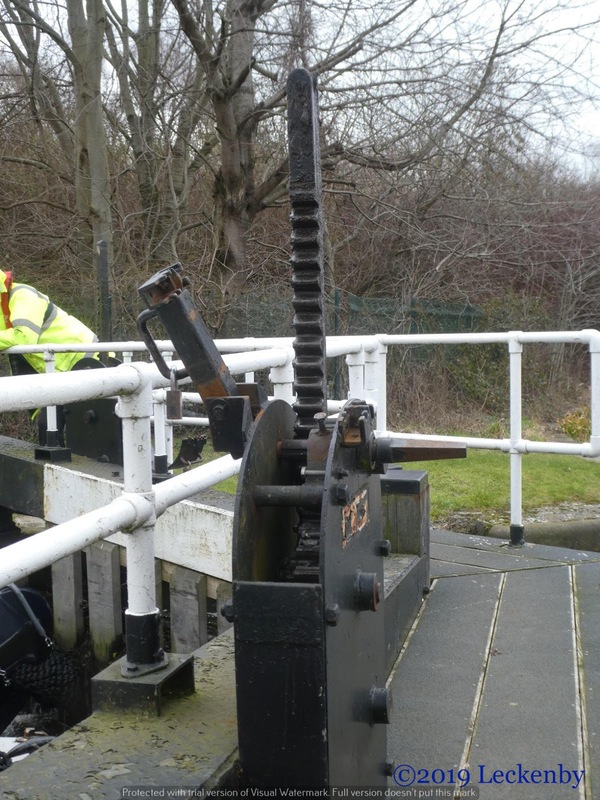 This is a touch different to most locks as a paddle is left up at both ends to keep a flow of water coming through. Once I joined them I could help and there was a touch of confusion over how to leave the paddles, which we sorted in the end. 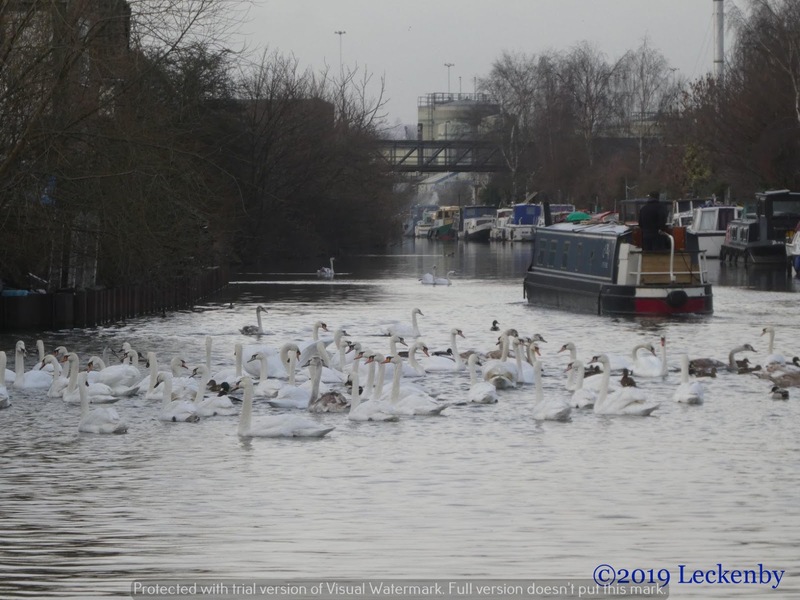 We next took the lead, arriving at Ickles lock and remembering to hop off before the bridge. Then a locked gate leads you to the lock, I opened a gate and then went back to wait for Sue to be able to lock the gate. 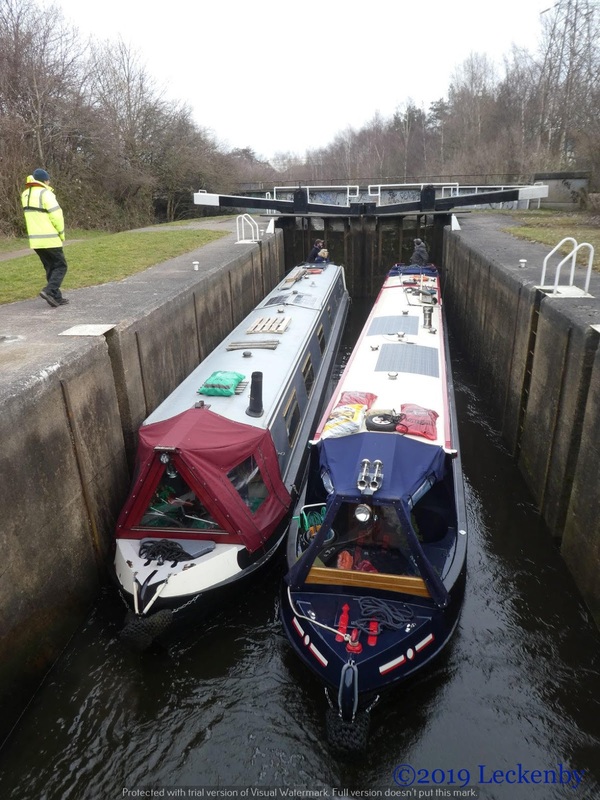 It’s the first time we’ve gone up these locks sharing and they are quite a bit wider than your normal broad lock, you could almost fit a third boat in them. No matter how we operated the paddles the boats moved around all over the shop! Next lock we passed a rope up. Arriving at Holmes Lock just after 9:15 we had a short wait for a Lock Keeper to arrive by bike to unlock it for us. 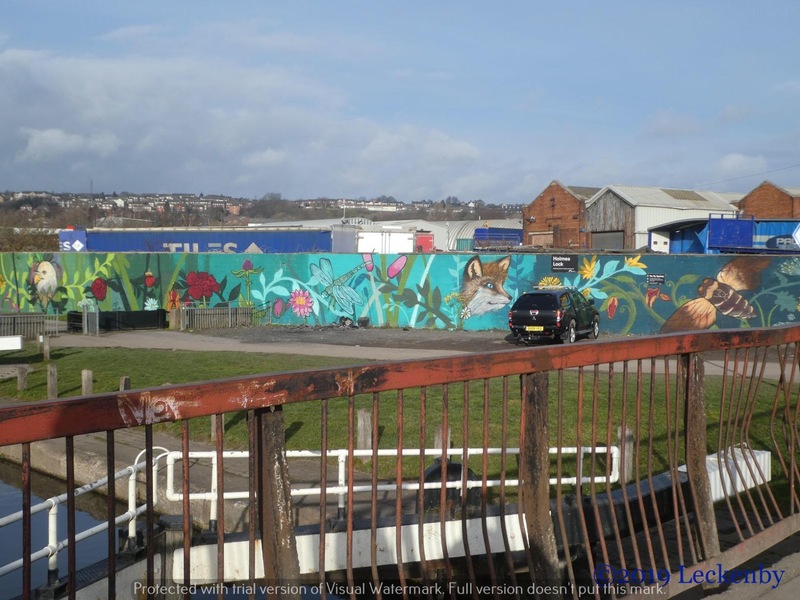 This gave us time to admire the mural on some hoardings. 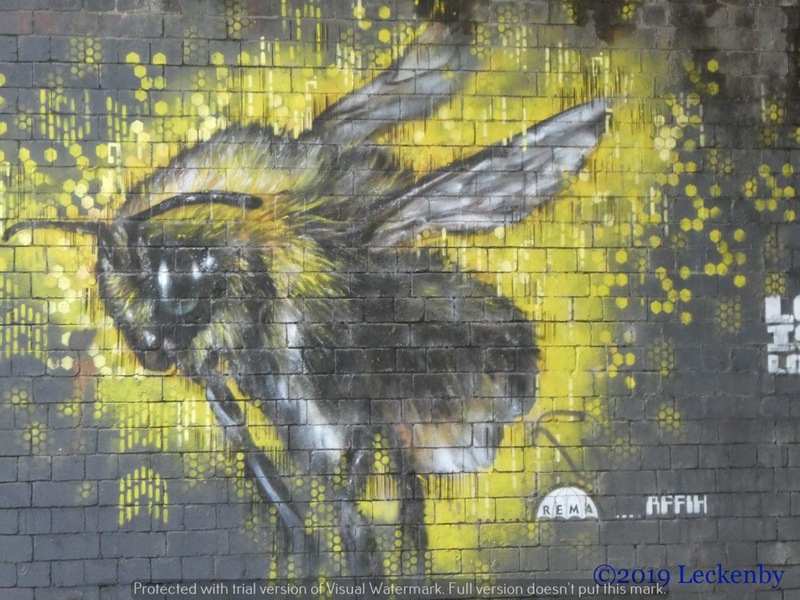 Up to now there had also been some rather good graffiti of birds and bees, the lock landing here filled with art work. 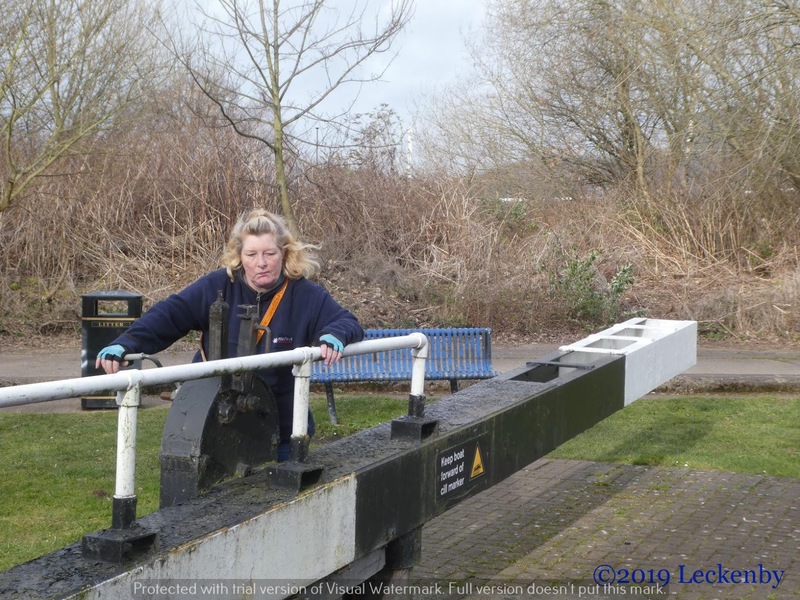 Our Lock Keeper stayed with us until we reached the main flight, cycling between locks, some of them a distance, to unlock them and help with the heavy gates. Most locks were set and waiting for us a paddle had been lifted by the Lockie on his ride down the locks, all we had to do was open the gates. Under the double decker M1 bridge, past the new Ikea. A change of Lock Keepers when we reached the main flight. This chap was more talkative, he’s worked this patch for 33 years and lived through all the changes with C&RT and BW through the years. 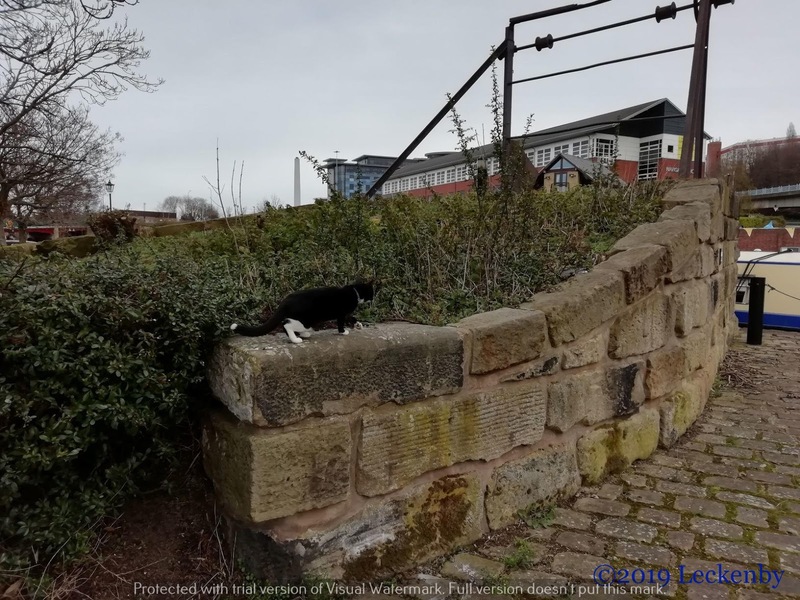 At Lock 7/8 he took charge, keeping a close eye on the boats as they rose gently, making sure that both tillers would miss the bottom gates walkway, which occasionally catches people out. Now in the flight he’d open the gates on the next lock, help with heavy high up gates and give us instructions on how to leave the locks. Some he wanted to reset as empty, others he wanted to close the gates himself, others he wanted the gates to be left open at the top. At one lock the mitred gates had to be just so to minimise leakage through them. This chap certainly knows his locks. Sue by now was getting a touch pooped and leaving gates open towards to top of the flight was welcomed. 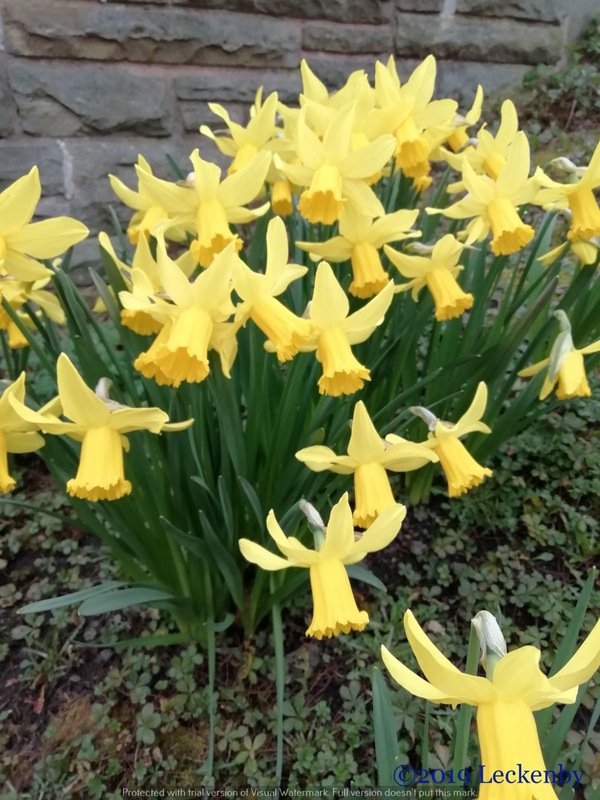 A patch of daffodils waved in the breeze. The wind had caused a few issues picking us up and a small smattering of rain made me put my coat back on, but didn’t turn into much. Above Lock 1 of the flight Ethel was waiting to come down. She’s a charity boat we’ve met a few times and she winters up in Sheffield, they were coming down one lock to wind and then go back up. They helped us up the last lock, opened the gates and we were on our way. In our case we were a bit slow as Oleanna had picked up something on her prop. 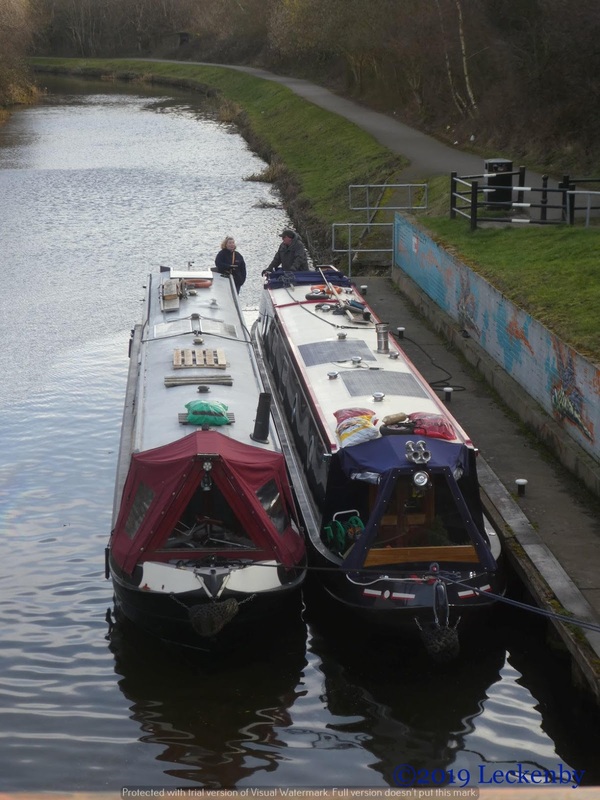 If Ethel hadn’t been on the lock landing Mick would have pulled over there, so we carried on to where the canal is wide with moorings that nobody uses to just hover whilst the plastic was removed. NB Cuba went on ahead. 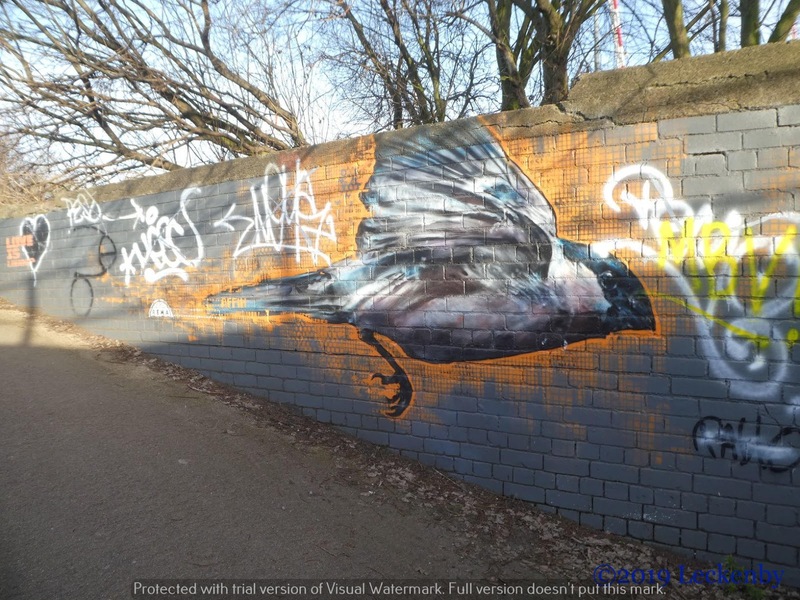 There’s new graffiti about the place, nothing unusual with that in an urban area. The white writing stood out from the many tags adorning the walls as we made our way towards the city. 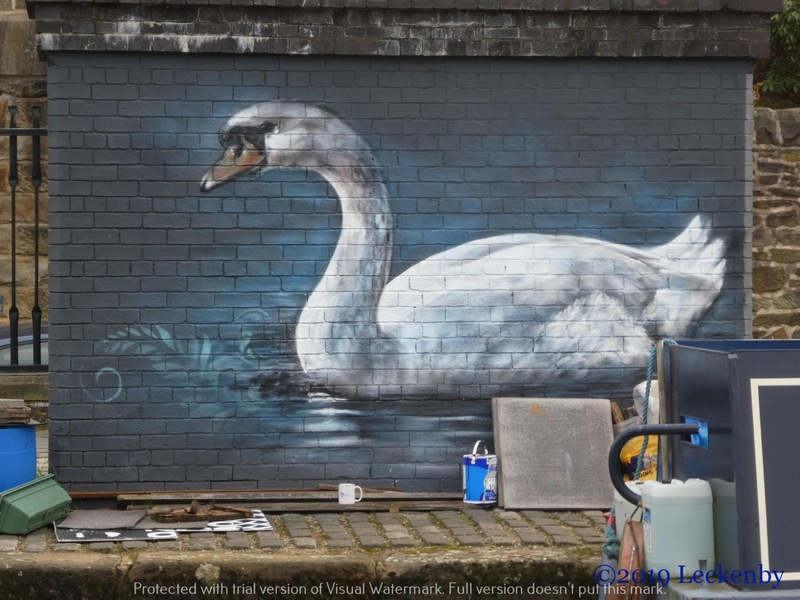 Then new paintings near the basin were being completed, some good quality art work. Rob had found Paul who used to work for CV Marine who run the moorings in the basin, Paul standing in for our arrival. Our booked mooring was through the swing bridge and NB Cuba’s was on the visitor moorings. We paused for lunch hoping the now howling gale would stop. Old style windlass and key in hand I did my best to get the bridge moving. It’s the first turn that is so hard, then you just don’t want to stop as it may be just as hard to get it going again. Moored up in our space, we have electric, the water point is behind us, all very handy. A call to Ricky at Finesse to see when they would like us to pull up. Times sorted for tomorrow to sus out the jobs to be done, then weather dependant we’ll be back on Wednesday for the work. Because of the celebrations on Friday we will have to move elsewhere for the day, maybe two days. 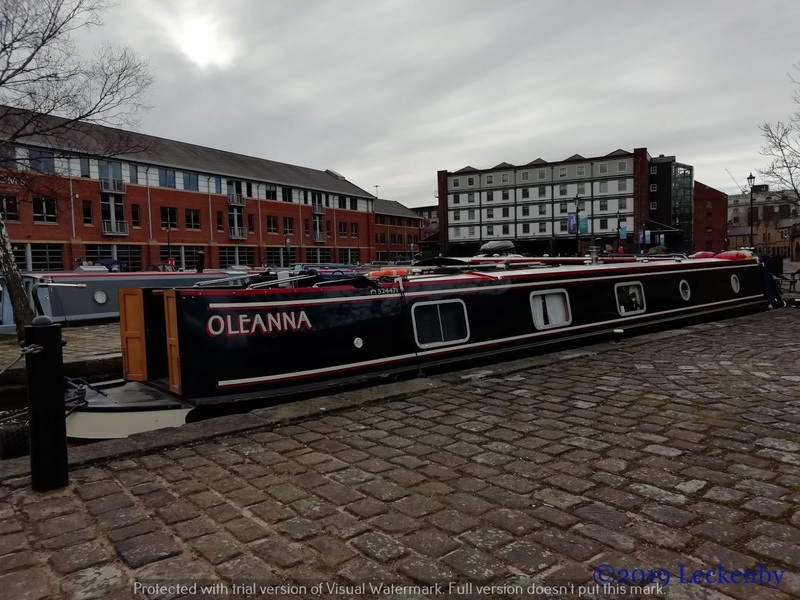 Our mooring will be where a brass band will arrive on a boat at the head of the flotilla to mark the 200th anniversary of Sheffield being linked to the sea by the canal. We’re hoping we can get on the visitor moorings, if not Ricky says we can pull up at the boat yard. 15 locks, 7.41 miles, 1 swing bridge, 65 swans, 2 lock keepers, M1, 1 mission accomplished, 1 blowy day, 28 daffodils, 1 urban jelly fish, 1 load washing, 1 hour shore leave, 2 much wiffy woofer wee! 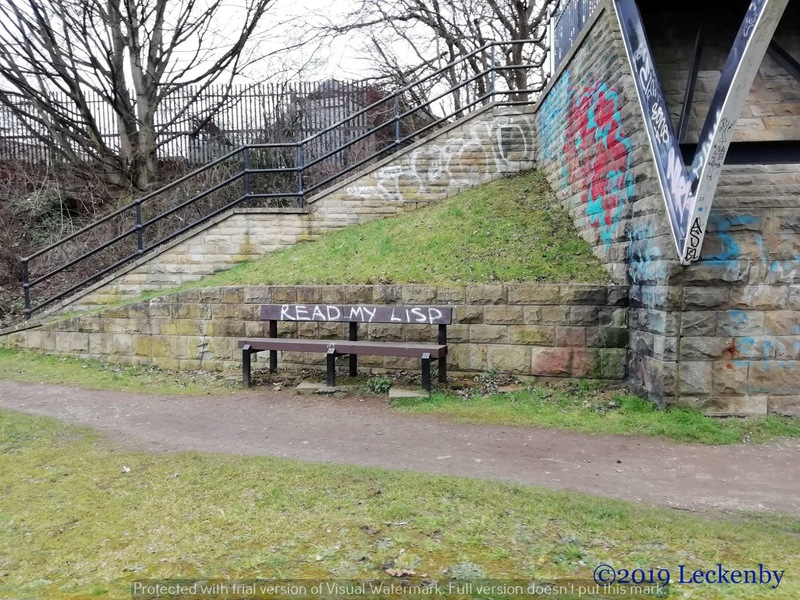 This entry was posted in Uncategorized on 20th Feb 2019 by pipandmick.